Florian Bertmer is an incredible artist and I’ve been a fan of his for several years. I was exposed to his work through his various album covers and t-shirt designs. 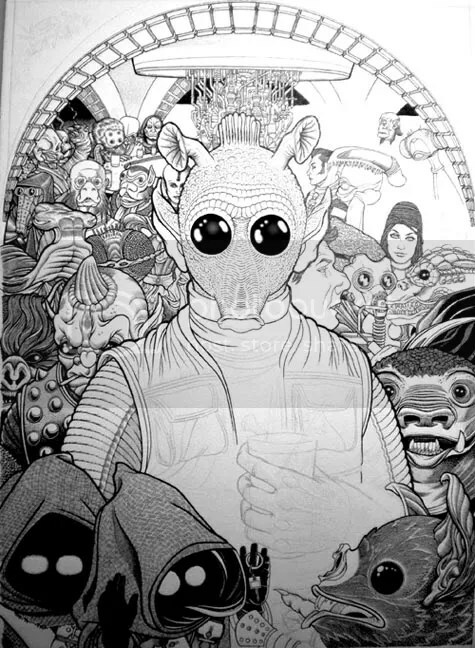 Today OMG Posters hipped us to his amazing new print done for the Alamno Drafthouse Star Wars print series. 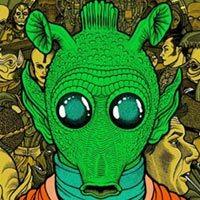 Florian Bertmer’s “Han Shot First” is a 24? x 34? 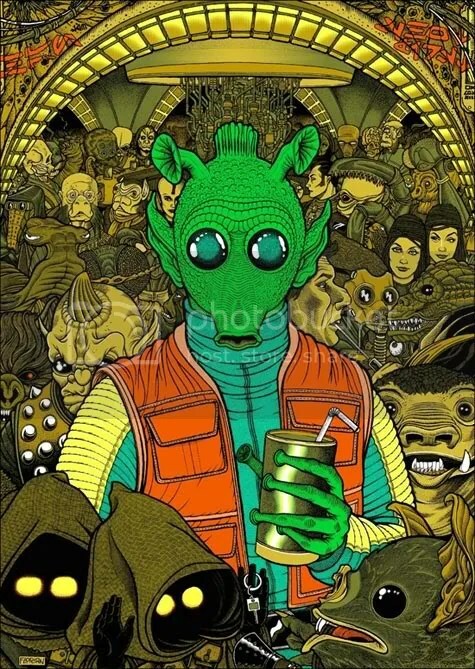 eight color screenprint, has an edition of 400, and will cost $50. It goes up Thursday, December 2nd at a random time. In a blog post shows various sketches and stages that the piece went through. http://mondotees.com/ would be the site to keep an eye if you’re looking to snap this up on Thursday. And here’s the original drawing.